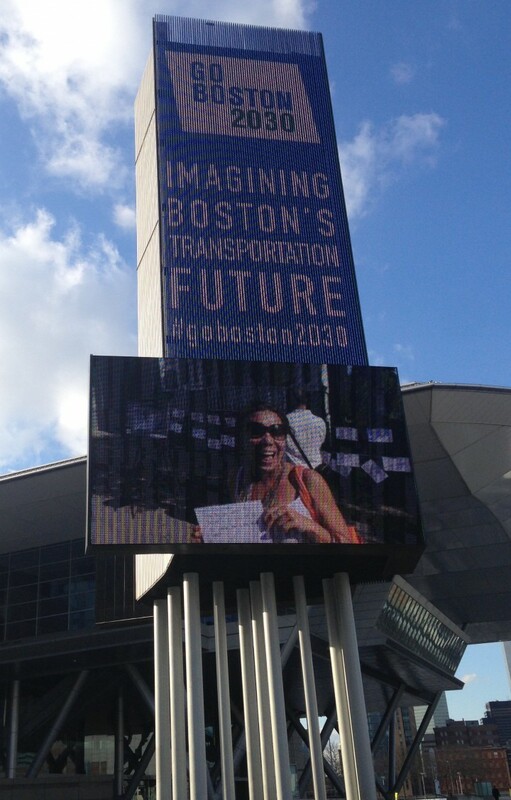 This summer my daughter and I collected questions for Go Boston 2030 at an event in Roxbury. We walked up to people and asked them, what’s your question about getting around Boston in the future? It usually takes folks a minute to orient themselves to what they have just been asked. “So, you want a question?” Yes! Questions open up possibilities and thoughtful consideration – and that is why they are the starting point for Go Boston 2030. GoBoston2030 is a visioning initiative, led by Mayor Marty Walsh and the Boston Transportation Department. The project will inspire a bold transportation future for the city in the next 10-15 years, grounded in commitments to equity, environment and economy as well as driven by an unprecedented public engagement process. As a partner to the city in this, IISC designed and launched a Question Campaign which is a communication and engagement strategy. 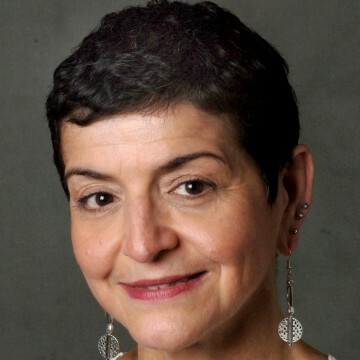 The Question Campaign promotes the practice of asking questions and sharing stories of mobility and transportation to engage the creativity and ideas of all people in Boston, with particular attention to the the margins of society, those traditionally excluded. Go Boston 2030 invites people who live, work and visit Boston to donate their questions about the future of Boston’s transportation either on-line or in person. The public sends in questions via text message, website, Facebook or Twitter (#goboston2030). People also donate questions in person at events, meetings, art performances, schools or gyms. For example, the Boston YMCA is sponsoring a competition to see which of its branches collects the most questions! Go Boston 2030 is on its way to the targeted 7000 questions by February 8. The Mayor’s appointed Advisory Committee and the 80+ partners we have enrolled are highly engaged, collecting questions and spreading the word through their networks. And to heighten the visibility of the Question Campaign, there are ads on trains, buses and bus shelters. Have you seen any in your travels through the City? There is one that I love because it speaks to the greater level of connectivity that many of us would like to have between neighborhoods and residents of this city. And what would an ad campaign be without a marquee? The City obtained the 80 foot digital display outside of the Boston Convention Center as well as two other smaller digital displays to announce the Question Campaign. So, What’s YOUR question about getting around Boston in the future? Share your question, see ads that are up all over the city, and read the questions that have already come in. But to do this, you will need to donate a question first, so go ahead, visit the website, type in your question and leave your zip code so we can track where the question is coming in from! Thanks for sharing your thoughts about website mobile.